For months I cried out to God in pain, and that pain was my entire world. All I thought about was how much it hurt, and how much that pain affected my life. The ball games I missed. How many times I missed church. I had to cancel the Bible study that I led. Chronic pain changes your life. Your entire life. I couldn’t take care of my family and depended on my family and church family for so much. During those days, I saw the blessings. When I wasn’t crying out to God, I was praising Him. Yet, now that there is a light at the end of the tunnel, I find myself with a faith that is far from what it was last year at this time. I am a lukewarm Christian. Over the course of the past year, my faith has suffered. I don’t know if there was one thing that caused my drift, so much as the whole. The lack of a daily quiet time. The lack of fellowship with Christian sisters. The lack of time spent in God’s Word. It all adds up and takes a toll. I tried listening to an audiobook. I tried memorizing Scripture. Worship music was a constant in my home. But still I have drifted. My heart longs for a relationship with Jesus. The closeness we had before. But relationships aren’t build overnight. And Jesus isn’t a genie in a bottle. I can’t simply wish our relationship into existence. Relationships take work. They take time. And they have their ups and downs. To be honest, I knew my faith was suffering long before I saw the light at the end of the tunnel. Back around Christmas when things started getting worse instead of better, I knew my faith was taking a hit. I would lean hard into Jesus and get a temporary lift in my spirits, but the continued pain kept wearing me down. I would go through spurts of working hard on my faith. Trying to regain the ground I lost. But nothing seemed to help. So, I clung to the fact that no matter where I felt I was with Jesus, salvation wasn’t a feeling but a fact. I know deep in my heart that Jesus loves me beyond measure, no matter how weak my faith is. Yet, I long to be on fire for Him. The way I was before. And He gently reminds me to stop looking back and to start looking forward. It’s a new day. My hope is in Christ. I am saved by faith. And faith the size of a mustard seed is enough to move mountains. Thus, I want to share three steps to rekindle your faith when dealing with chronic pain. This is not the end. God is good and His love endures forever. The love of God endures through chronic pain, and it endures even when my faith has suffered, because God’s love is unconditional. When we pray and ask God to give us a heart for Him, He won’t disappoint. No, it won’t happen overnight, but just like a fire starts with kindling, God will start to rekindle our love for Him if we only ask. For months, I simply wasn’t up to leaving the house when my head hurt, and even if I did, I was in my own world of pain. Connecting with others was hard. The people who were praying for me often frustrated me, but I was ashamed to tell them that. I didn’t need prayers for healing as much as I needed prayer for strength… but I never shared that. If I would have reached out to one or two women and formed a small prayer circle, I truly believe it would have made a world of difference. I had women who supported me online, but I shut out the women of my own community. And even the women who supported me online had to reach out to me to find out what my prayer needs were. 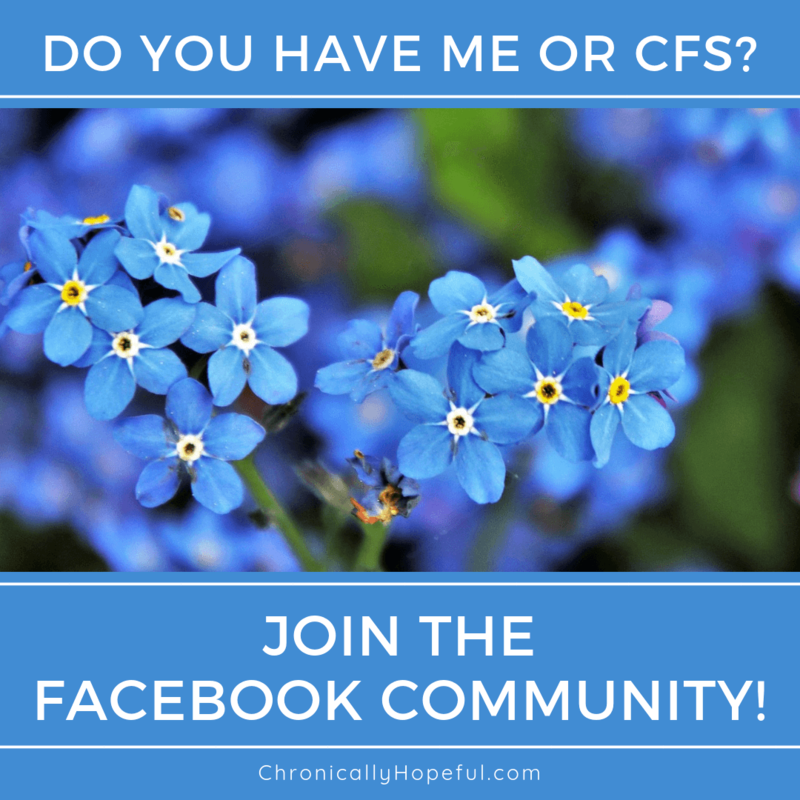 I would get frustrated because even while I was dealing with my chronic migraines, life continued around me. I had other, sometimes more important issues in my life, but because I had shut everyone out, I had no local support system. I truly believe this was a major issue. And I knew it was at the time, yet I still never reached out. Local women constantly offered to help, but I didn’t want to be a burden. I should have known their offers were genuine. They would have gladly came over to pray with me, if I would have just asked. So, if you are in the middle of dealing with chronic pain. I hope these three steps can help you keep your faith strong, or start to rekindle it if it is weak. I know they are helping me. My journey isn’t over, but the light at the end of the tunnel isn’t just about being pain free, it’s the light of Christ warming my soul. Has chronic pain affected your relationship with Jesus? Heather Hart is an internationally best-selling and award-winning author with an unquenchable passion for Jesus. Find her at BooksFaithandCoffee.com or on Twitter, Facebook, Pinterest and Instagram. * If you'd like to be featured on Chronically Hopeful, head over to this page to find out how you can contribute. I'd love to share your story! Thanks for hosting me on your blog today, Char! I wrote this post at what I hoped was the end of a year long migraine, and I have come so far since then. Yes, I still get migraines. I still have chronic pain. But with the steps I shared in this post, my faith is no longer lukewarm. I am on fire for Jesus in a way I haven’t been for a long time. Thank you so much for sharing your blog space with me. Heather, I am so happy to hear that your faith is on fire now and that your migraine has subsided. Your story is a blessing and encouragement and I am grateful you chose to share your struggle with us. Praise God for His strength and faithfulness through our storms! I do not deal with chronic pain, but I know people who do and I can’t imagine what it would be like — and I totally understand how it would be difficult to stay on fire in your faith when so much of your energy automatically goes toward just trying to get through the day. I’m thankful that you are finding some relief, and it’s wonderful that you can share your experience and encourage people with helpful tips if they are in the same situation. Thank you for this post! Oh Heather, I can hardly imagine going through this long journey. I pray for a 100% recovery and for the deepening of your faith again. This story can offer hope to so many facing similar struggles. God bless you and your words as you write your story. I am happy to report that while I still struggle with regular headaches, God has set me on fire for Him once again. So thankful for the One who restores our souls. Wow, Heather. I love how you are always so real and vulnerable. That draws others into what you have to say. Glad you’re feeling better. Reading your post immediately reminded me of the church in Ephesus from Revelation 2. God told them they had left, abandoned their first love…for Him. I like your three points, but particularly to pray for that rekindling! Yes! When we ask, God is faithful to do what He has promised and He can set our hearts on fire in a way we never could on our own. The reasons why God allows pain and sickness to exist are numerous, and I don’t think we’ll ever come close to fully grasping it on this side of Heaven. However, I suspect many cases are like yours, Heather, for you can warn others about previous mistakes and show them tips on how to connect with Christ more deeply no matter what they go through in life. Thanks for your honesty and your story. God bless. I agree, Scott. So often I think God let’s me walk through something just so I can fully empathize and encourage others who are there. There may be other reasons, but I have to trust He knows best and keep leaning into Him. That’s what keeps me going. I think reaching out is a great way to help rekindle your faith. We all crave fellowship and when we can fellowship with those of our faith it makes such a difference! I’m glad you’re doing better and I hope you continue on the path to healing! Heather, thank you for sharing your story. Throughout this ordeal, you kept writing because I’m pretty sure I read some current stuff over the weeks/months. I’m glad God is faithful and holds us during the hard times and still uses us when we are weak. What a great God we serve. Blessings to you and your family. I did keep writing and clinging to Jesus. Some weeks / months I was able to write more than others. And other times I had stuff pre scheduled or just didn’t care. And in June I started getting better. I’m not healed, but I am definitely much better than I was. Thanks for your honesty and authenticity! There is healing just in sharing your experiences. I love the steps you shared as well…it’s so encouraging to know and be reminded that nothing can separate us from the love of God! So glad to hear that your pain has been dissipating. Really liked your suggestions for rekindling our fire for Jesus. And thank God that He remains faithful even when we are not. God is so good!! Enjoyed your post Heather, and God bless!! So sorry you’ve had this pain. As you go/went through this situation, God was working in you–and in those around you. May you always know His presence and may He bless others through you. May you be healed and use the memory of this time to encourage others–just as you’ve done in this post. Thanks, Nancy. I still struggle with headaches, but I am so thankful God is always with me, and I pray He always uses me to point others back to Him. I can relate. The last twenty years of my life have been a long slow slide into chronic illness and pain, the last seven more acute, and the final four completely isolating. I’ve had to learn to say “no,” to accept help, to know when to stop, to verbalize the need for sustaining grace rather than necessarily healing, and to slowly see all but a handful of friends disappear as I became increasingly invisible. But God. The Lord has had me in Revelation and then in Isaiah for the past four years. These words have lifted me up by impressing his faithfulness upon me. He keeps all his promises. He is there even when we can’t feel his presence, even when our friends or family have forsaken us. No matter how we feel or act or think, he never abandons his people. He holds us in his hands, even when our agony makes us feel as if we’re lukewarm, even when we don’t like him very much for allowing this to continue, even when we’re angry, even when we doubt. I give myself a whole lot more grace now, and I recognize when I need to bask in his Word lest I die. I’m sorry you’re going through this, but I also know you will come out of this like gold refined. May the Lord give you grace while he has you on the Potter’s wheel remaking you. God is with you. The Lord is near. This was beautiful, Melinda. I’m sorry you have been there too, but isn’t it great that we never walk alone. God is so good. So glad to hear that, Alynda! Chronic migraines are nothing to sneeze at, and the medicine can often be just as bad.